woops. Sorry about that – I just fixed it, and the PDF should work now…. I am trying to comment on each letter as you post them! My suggestion for this one is: Copper marquise satin stitch for all the petals, Pewter diagonal striped bands alternated with tiny midnight knots, and Platinum satin filled letter with black stem outline! These letters are an inspirational challenge! 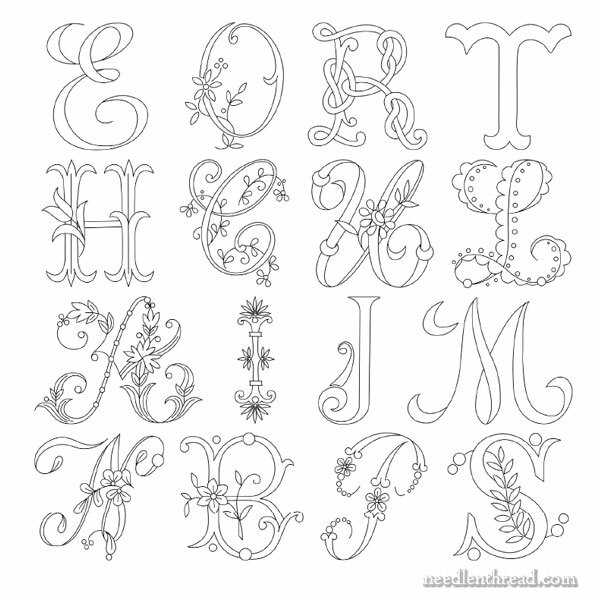 Right now I am busy recreating an 1890 Irish Lace dainty purse, really pretty, in pink #10 cotton to be lined with pink velour, but as soon as I can, these letters are next!